You may have several reasons to know about the exact account balance immediately of your City Union Bank (सिटी यूनियन बैंक) account. In such a case you must try to shot out the possible ways to collect the balance data instantly. If you are an account holder with City Union Bank (cub) and obviously wondering about how to check immediately the bank balance then this article is exclusively for you- so come and read on. There are multiple ways by using any one among them you can get your required account balance information. Here is the listing of some of the most popular methods which can help the customers to get the proper information. This is the most common method of inquiry of your account balance. If you have a mobile number that is registered with the bank, you may give a missed call to +919278177444, you will get the latest information about your account balance. You may also contact CUB 24/7 customer care toll free number 044-71225000 and ask the executive to inform you about your account balance. He may ask you some personal question to ensure that you are an exact account holder of that account and when he authenticate you, you will get the information. You can use this method only when you eligible for the service or when you opt for the service. This one of the rapid method of getting account balance information. You will also obtain account statement of your last 10 transactions. Visit personally the branch of the City Union Bank and update your passbook from the help-desk executive. It will take time to update and you will get the hard copy of your account balance. So, These were the most popular ways to check city union bank account balance, keep checking our blog for more informative articles. I want to check city union bank balance through SMS. Please send me to balance enquiry missed call alert number. What is the maximum number of missed calls allowed per day? Sir use missed call service with your registered mobile number. 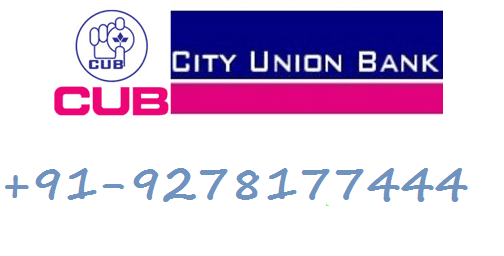 what is city union bank mini statement missed call number?